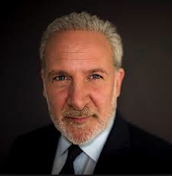 Peter Schiff On The Markets: Are We Going To Have An Even Bigger Market Drop On Monday? Are We Going To Have An Even Bigger Market Drop On Monday? This ell-off could precipitate an even bigger market drop on Monday as this pattern is similar to the one on October`s 1987 crash.